A new driver in the family can be great for your calendar (hello again, free time) but hard on your wallet. It’s no secret that insuring teenage drivers is pricey — in fact, recent studies put the average annual rate increase for adding a teen to your car insurance policy at 78 percent. Yep, you read that right: seventy-eight percent. Fortunately, there are steps you can take to bring that premium back down again. Prices will still be higher than they were before you added your teen (insuring young drivers always costs more than insuring more experienced drivers), but it’s still worth being proactive to shave rates down as much as possible. You might not be the kind of parent who monitors your teen’s screen time or data usage — but you should be the kind of parent who monitors their kid’s driving habits. Why? Because it could save you anywhere between 5 percent and 30 percent on your car insurance premiums. We’re talking about usage-based car insurance programs, which use tracking technology to monitor your (or your teen’s) driving habits, and then factor that data into your car insurance rates. Most big-name insurers offer these programs nowadays, though the type of tracking they use and the amount you stand to save varies by company. Regardless of provider, there’s a rule of thumb for usage-based insurance: Drive safer and/or drive fewer miles, save more money. This is especially relevant when it comes to teens. The main reason it‘s so expensive to insure young drivers is that they’re statistically far more likely to be involved in collisions. If your teen can prove that they follow the rules of the road and take precautions while driving (like braking slowly and always staying in their lane), they’re apt to qualify for lower rates. Odds are your teen getting licensed won’t line up with your car insurance renewal date. That means you’ll be adding them to your current policy, and paying whatever rate increase the company deems fit. You don’t have a lot of say in that. What you do have a say in is shopping around once your policy reaches its expiration date, and making sure you’re getting the best possible rate on your family’s auto insurance going forward. How can you do that? Compare quotes — lots of them. Every insurance provider evaluates prices a little differently, and will give your family a personalized estimate based on a unique formula. The only way to know for sure who can offer you (and your newly-licensed driver) the best value on car insurance is by checking rates from multiple companies. While you’re exploring the best car insurance options for your family, keep an eye out for young driver discounts. 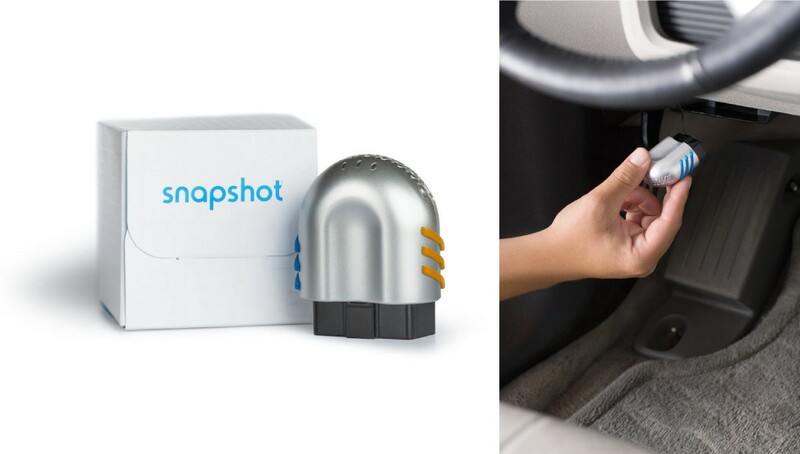 These come in different shapes and sizes; they might reduce rates for drivers 18 and under, teens with a certain grade point average, or college students that live on campus and won’t be using the family car as often. No two insurance companies have the same discount selection (or percentages), so be sure to ask about young driver discounts while you’re checking quotes and find a company with generous savings. You’ve probably spent a while preparing (or steeling yourself) for the day your teen gets their driver’s license. Maybe you even kept an old “beater” car in the driveway thinking it would be a great starter vehicle. Smart move. When the time does come to hand over the keys, it might be worth reevaluating coverage on that clunker to make sure you’re not paying more than necessary to insure it. If the deductible on your collision and comprehensive coverage is approaching your vehicle’s total value, it might be time to scale back your policy. We typically recommend buying auto insurance with “full coverage” — meaning it includes generous liability limits as well as collision and comprehensive coverage to protect you no matter what happens. There’s just one big exception to that rule. If your vehicle has depreciated over the years, and its overall value is starting to level out with your deductible, it might not be worth paying extra on your policy for collision and comprehensive insurance. Here’s why: Although these coverages are valuable (they pay to repair your own car after it’s damaged, unlike liability insurance), they tend to be pricey add-ons. 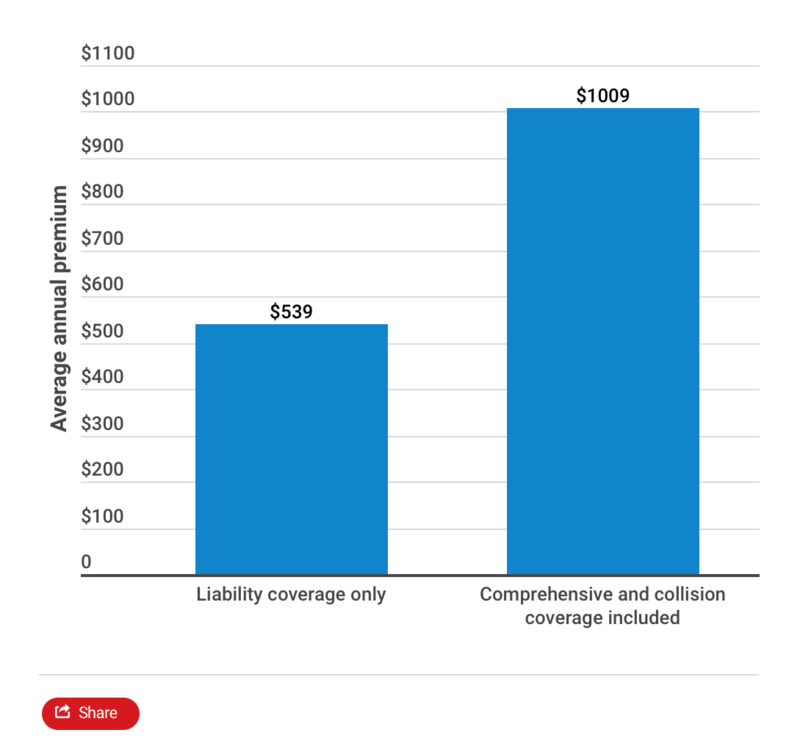 In fact, collision and comprehensive nearly double annual premiums on average. Add to that the fact that collision and comprehensive insurance charge a deductible of $500 or $1,000, and it doesn’t make much sense to pay for the extra coverage on a car that you’re more likely to replace than repair after an accident. Premiums aren’t the only thing to consider before adding a teen driver to your car insurance policy. Make sure you’re fully prepared with this quick read on the five most important things to know about insuring a young driver. We also mentioned shopping around to find the best auto insurance rates for your family. If you’re at that stage, check out our review of the best cheap auto insurance for some reliable, affordable companies worth getting quotes from.